The Carpathians are the second longest mountain range in Europe. Did you know that the Carpathian mountains are divided into Western, Eastern and Southern? 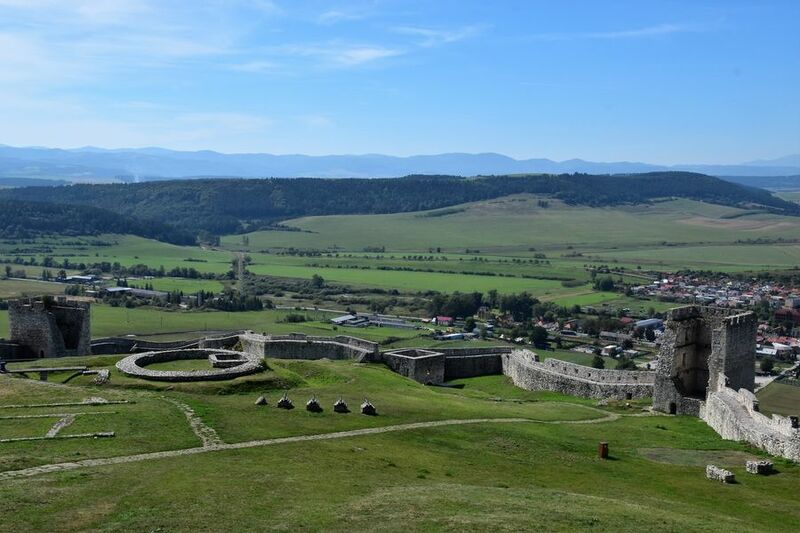 In this article I am going to focus on the Eastern Carpathians and their part around Eastern border of Poland and Slovakia. To be more specific, it’s the mountains in Southeastern Poland and Eastern Slovakia which is why I’ll mention both countries in this blog post. Eastern Carpathians also run through 2 other countries, Ukraine and Romania but I am not talking about those 2 destinations in this article. 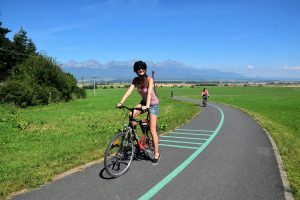 And because Slovakia is my home country and I’ve written quite a lot about it on my blog, I will point out to more things to do in Poland. 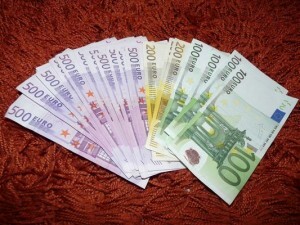 Then you can click on my other articles about Slovakia to find out more about our small big country. 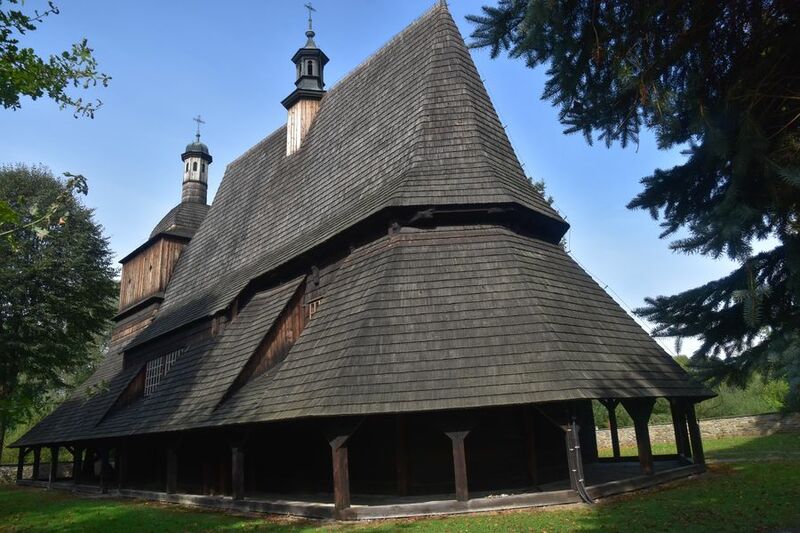 Assumption of Holy Mary church in Haczow village was built without any nails. Some say it was built already in 1388, others that it was completed in 1459. Despite of being damaged by the Tatar attacks in the 17th century, it has been restored and it’s still an active church. 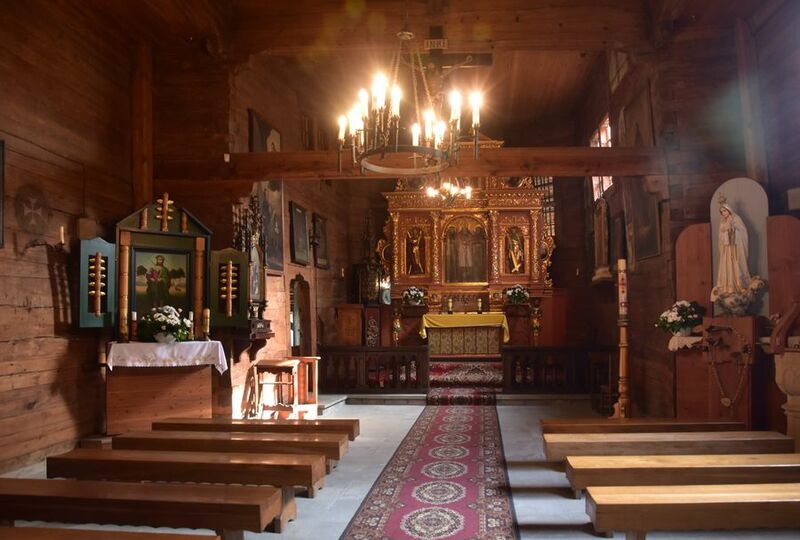 It is said that it’s the largest wooden Gothic church in Europe. Inside we can find beautiful frescoes, i.e. colorful wall images painted on wood. They were covered with white wall plaster for many years and only uncovered during the restoration of the church a few years ago. 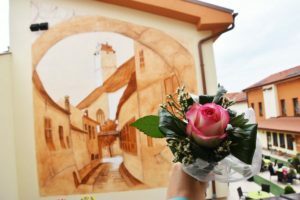 At that time they thought they were dating back to the 16th or 17th century but a more detailed research says the frescoes are even older than that. It’s even probable that the frescoes are the oldest church frescoes out of all European churches. Thanks to its unique architecture, Haczow church was proclaimed a UNESCO site in 2003. 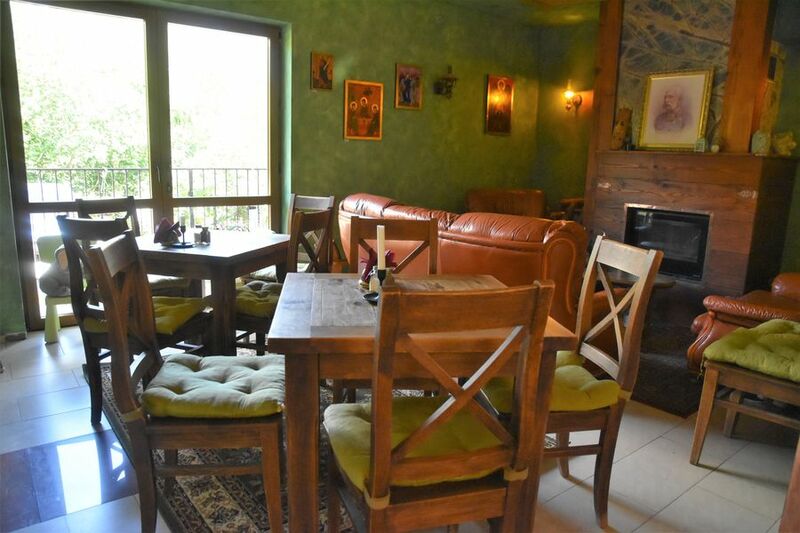 If you are looking for a place to stay close to Haczow, then I can highly recommend you Dwor Kombornia hotel located just 8 km from Haczow. 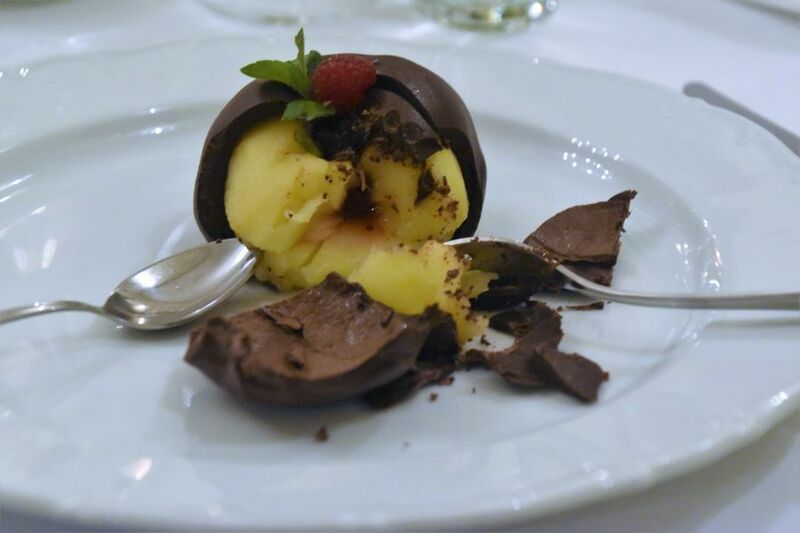 It’s a 4* luxury spa hotel located in a manor house from the 16th century. 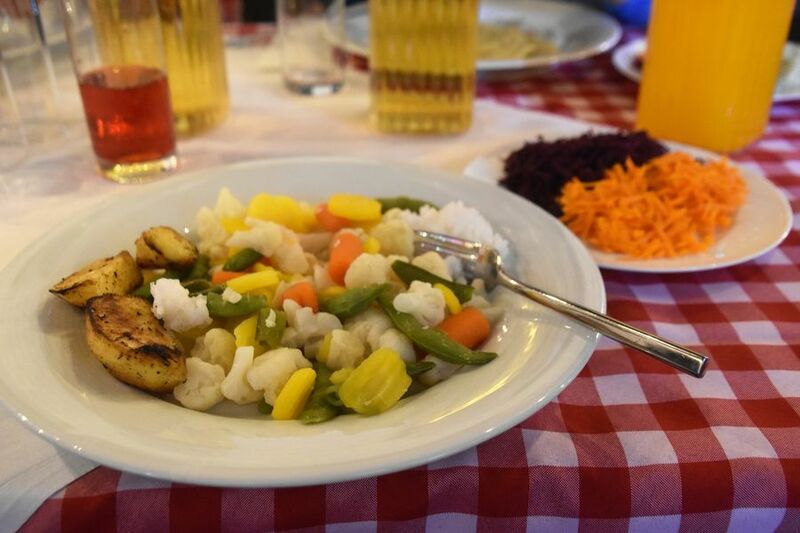 They prepared really tasty vegan meals for me for dinner, and there were a lot of choices for breakfast, too. I even went for a morning swim while there. And my room was very romantic and big, I even had a wide bathtub in the bathroom. The gardens with lakes around the hotel make up for even a more romantic atmosphere. I’d love to go back one day for a couple of days instead of just one night. 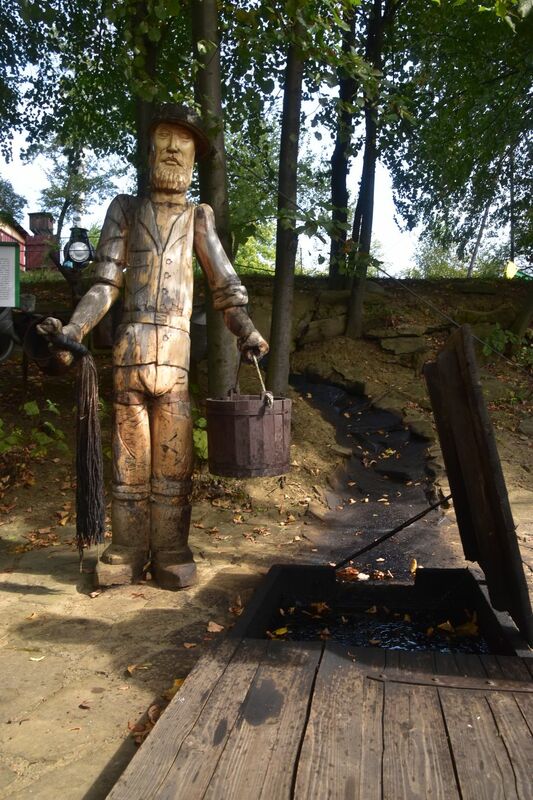 One of the things to do in Eastern Carpathians is to see the exhibits of tar maker’s croft. Unfortunately in the present there are just 2 people who know how to do it and when we visited, one was sick and the second one had moved abroad. So we were not able to see how to do it in person. But to learn at least something about tar makers, we visited museum Zagroda Maziarska w Losiu, called in English Grease Makers Farm Museum. Grease Makers Farm Museum is a small open-air skansen in Losie village where you can even touch and smell everything to get a better idea of tar maker’s croft. All of the houses except one were built in Losie in the 19th century where we can see them standing now. Just one house was moved into the skansen from another village. Lemko people were those who started making greases and lubricants from oil that was digged in the area. 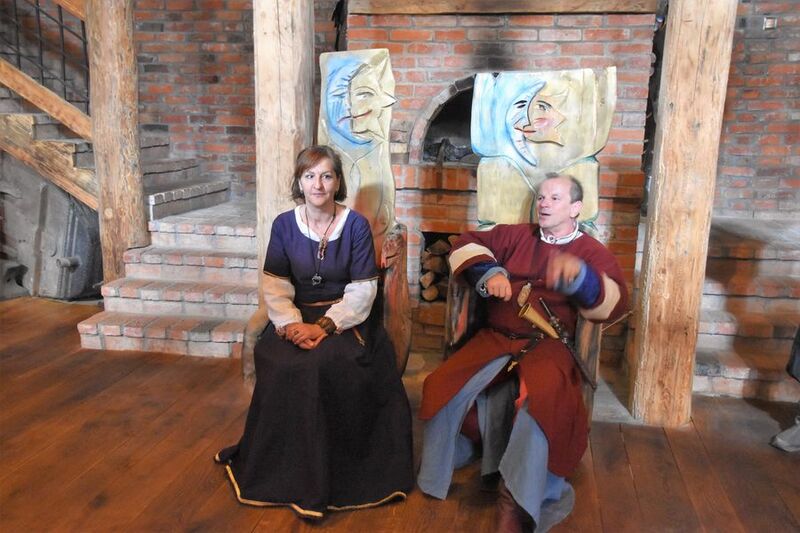 From the 19th to the 20th century Lemko people were really rich which was visible at first sight already. They lived in a separate house and their cattle had another house. Unlikely, at that time poor people would live in the same house with their animals. The house with blue window shutters had a heated part where people would sleep, and the second part was cold to keep the food fresh. This area was very rich but its surroundings were poor. People from this area were selling oil grease around Poland and Eastern Europe which made them so wealthy. They would always wear different clothes so others would recognize them. 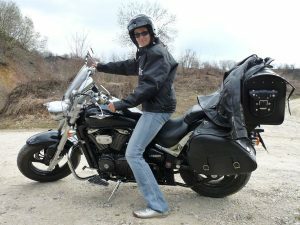 Men would travel and sell grease, while women would stay at home and take care of kids. Just a few metres from the museum we can find an interesting Greek Catholic church. In front of the Manor house there’s Stara Chata restaurant where we had traditional lunch. I got a lot of veggies and a really tasty soup. If you have more time, you can visit Skansen Museum and a church just across the street from the restaurant. 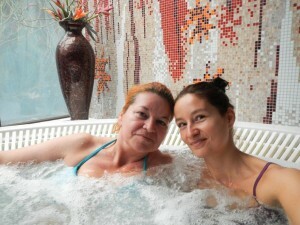 Wysowa is a spa village where people go to heal physical problems. 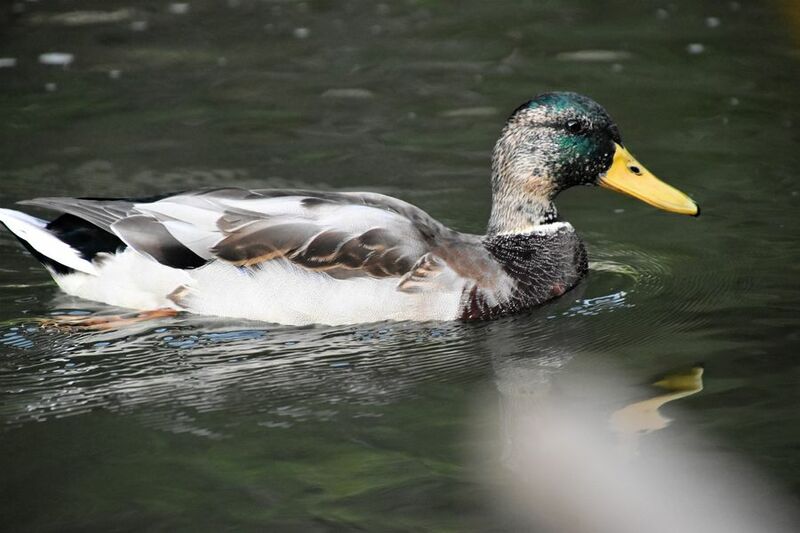 They drink spring mineral water and forests around help them to heal faster. Sometimes while hiking along the nature trails you might not meet a single soul. Because of infrastructure and bad roads, very few people would visit Wysowa village in the past. In the last couple of years it’s been improving so more people go. Every year there’s a bicycle competition in the village. There’s 5 mineral springs and each has a different taste. We could taste all 5 of them in Pump room Pijalnia wod mineralnych, which is a building from 1882 next to a big fountain. All 5 springs are named after people (Henryk, Jozef II, Franciszek, Anna, Jozef I Slone). The first one had a really strong smell, like eggs that went bad. I liked the second and the fifth the most but the third and the forth had the strongest unpleasant taste and I could not even finish drinking them and had to spit them out. I was making so many faces, you have no idea. 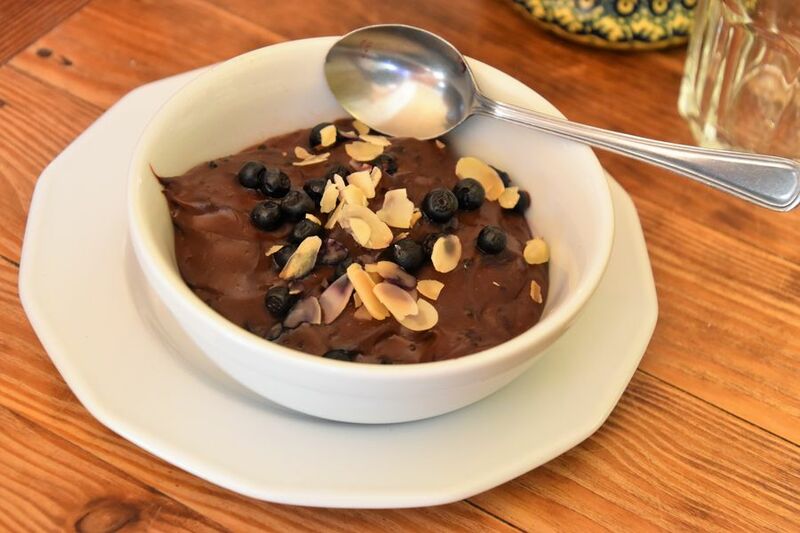 Each spring consists of different ingredients so it is better to heal different illnesses. For example for stomachache, nervous and brain problems, diabetes, low iodine etc. There’s labels with positive effects and ingredients of each of 5 springs inside the Pump room. 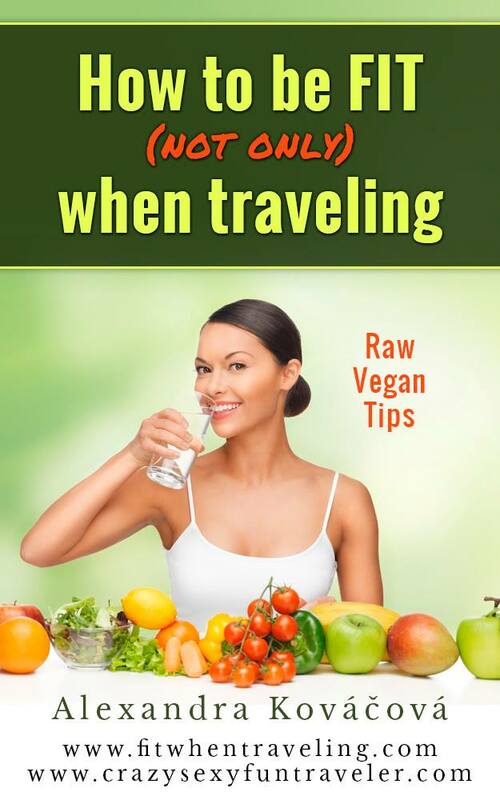 We were told that you should drink spring water for 2 to 3 weeks to see some effects. A bonus is that you can buy bottles with the same water in local shops. However, if you refill your water bottles directly in the Pump room, it might lose its qualities within 24 hours. And the price? 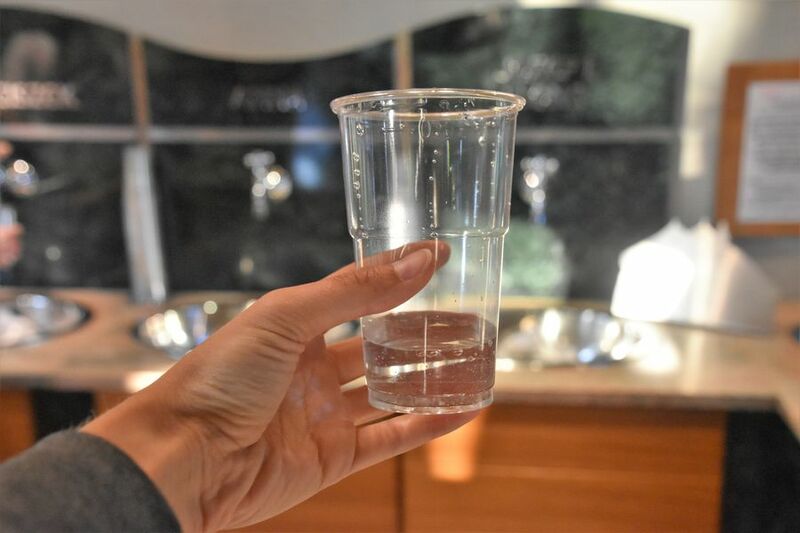 Each glass of water costs 1,50 zlotych. 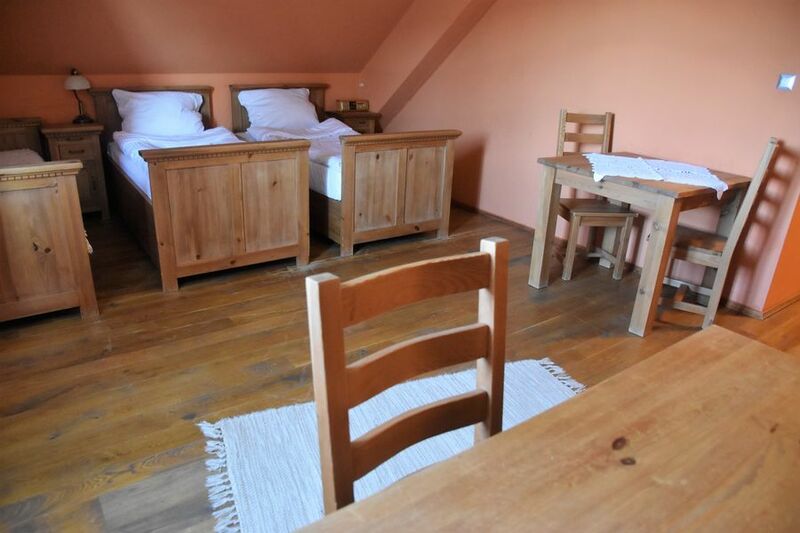 Looking for accommodation in Wysowa? I can recommend you 3* hotel Goscinna Chata where we stayed overnight. Rooms are very traditional and they prepared for us a really delicious dinner. 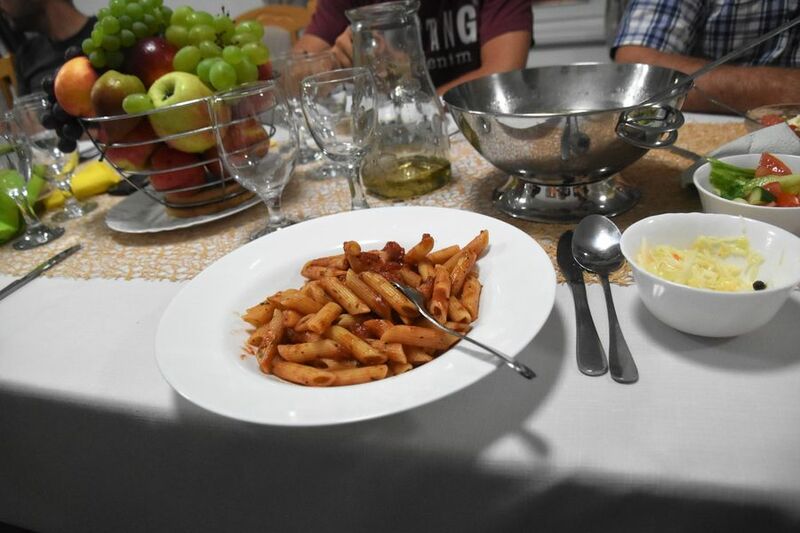 I was overwhelmed with the vegan dinner they made for me as I would not expect it in a small village. 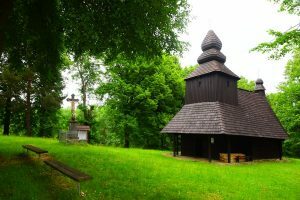 Saints Philip and James Church is a small wooden church in Sękowa village. The main part of the church was built in 1520. But the square-shaped tower with a domed helmet dates back to the 18th century. It’s very interesting to see the tower construction from the inside as it’s open. In the past people going for a mass would sleep underneath the tower until the mass started. The whole church is almost entirely covered with shingles from outside which makes it look even more unique. Big part of the church interior was devastated during the WWI when the soldiers used the church materials for firewood and to build trenches. However, thanks to the renovation processes betwen the 18th and 20th century, the church is still active and well-preserved from the outside. When inside, remember to notice the Gothic baptismal font from 1522 and also richly decorated Renaissance main altar from the 17th century. In 2003 the Sekowa church was inscribed on UNESCO Heritage List. 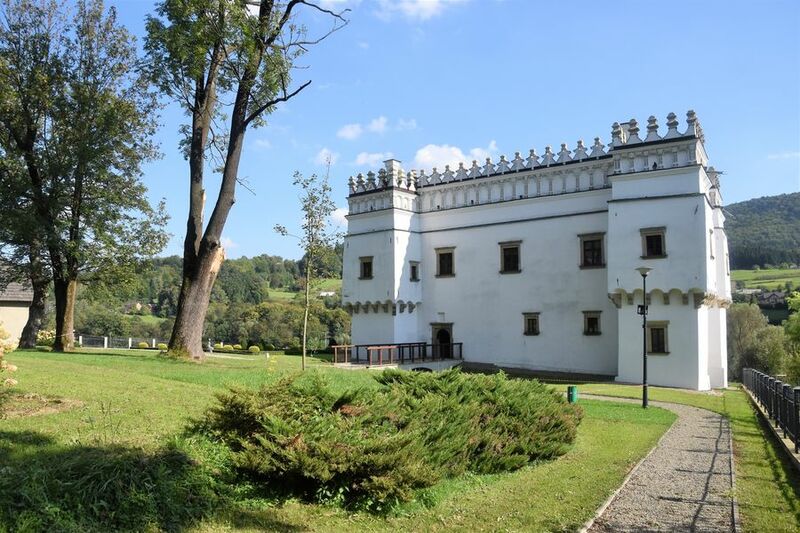 Not far from Gorlice town, and just 4 km from Sekowa, we can find another very nice building worth visiting. 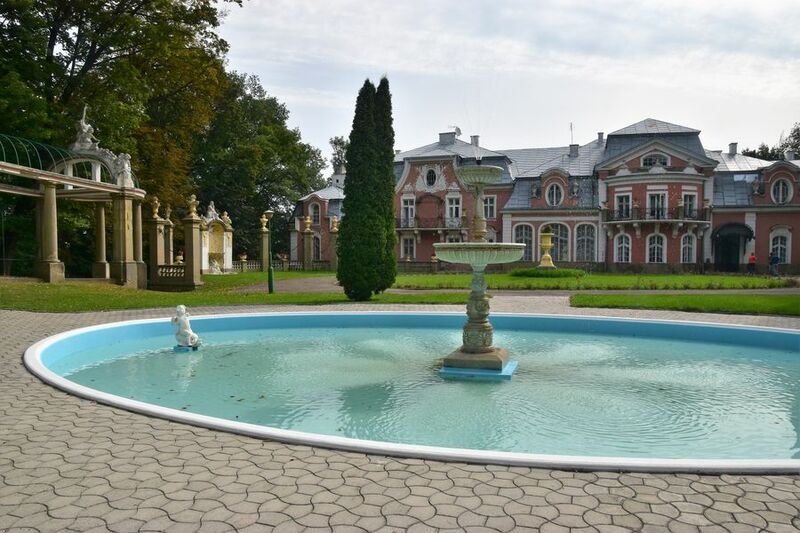 I’m talking of the white and pink Siary Palace (Palac w Siarach) set in lush forest. Its surroundings with pergola, flowers and sculptures are perfect for portrait, wedding and couple photography. When we were there, we even saw a couple having taken their wedding photos there. The vast fountain in front of the palace just adds to the magical atmosphere. The Neo-Baroque palace was built in 1900 to 1908 by Wladislyslaw Dlugosz. And why in such a small village? 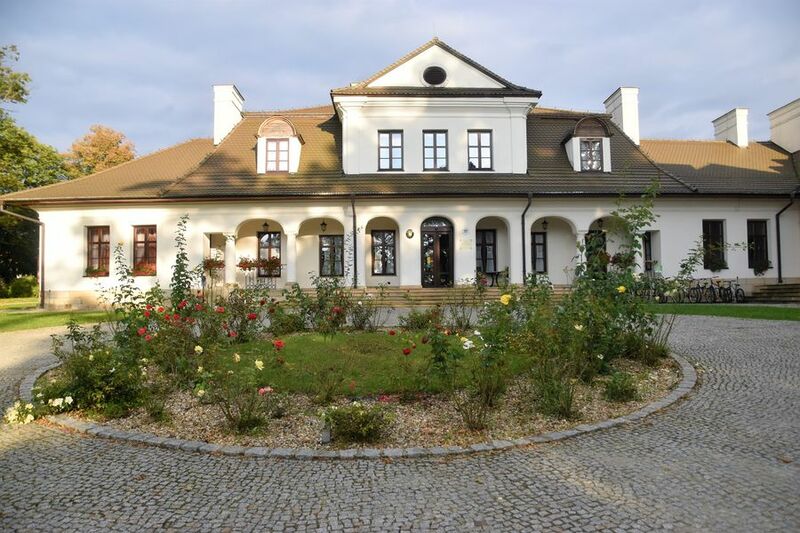 Thanks to oil found underground, Mr. Dlugosz became rich and wanted to have a residence in the area. A museum will be open inside the palace soon. And they are also planning on renting rooms and organizing weddings as the place is perfect for that. When we visited in September 2018, the interior of the Siary palace was still under reconstruction. 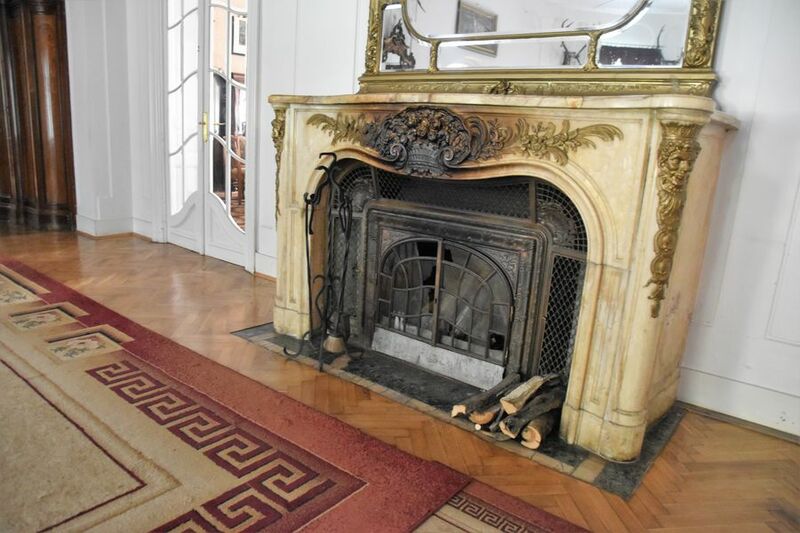 But we could admire the original wardrobes, doors, fireplace and handrails inside the palace. The current paintings were added recently. The first oil mine (kopanka) called Pusty Las was built close to Siary. It brings me to the next point number 7. 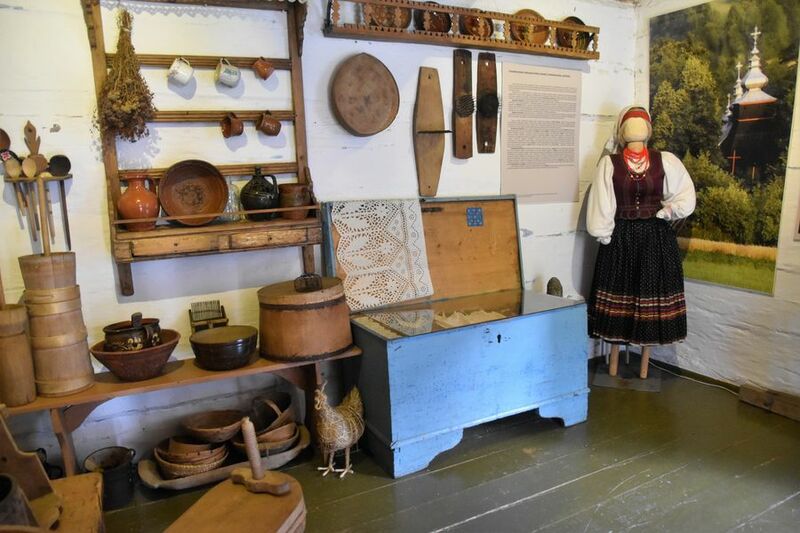 A museum worth visiting is the Oil industry skansen Magdalena in Gorlice – Skansen przemyslu naftowego Magdalena w Gorlicach. It was exactly in that place where they saw oil getting out of the ground for the first time (naturally on its own, without digging it). Because oil was black and greasy, people were scared at first as they didn’t know what it was. But soon they started to use it to grease the carriage wheels. Hence the museum was built in the same area to commemorate the place where oil got out of the ground for the first time. The guide took us around the mini open-air museum and explained to us how the oil was getting extracted from the Earth in the past and how it’s done today. Oil was poured into buckets and barrels, and then distributed around Poland. At first they were looking for gold but found oil instead. 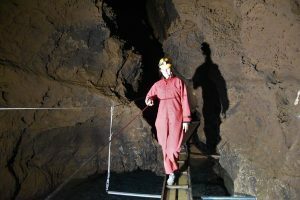 The first oil mine in the world was created in the area. In 1853 the first world’s street oil lamp was lit in Gorlice town. Once people started to use oil lamps, they would have more light all around the house and thus could do more things later at night. Until then it was just the fire light but they could not transport the fireplace all around the house. Then we learned more about the castle, could stroll around and see how they are trying to show a bit of local history to its visitors, mostly to groups of kids. Kids can play a game ”who finds more dragons around the castle” (there’s more than 100 of them). 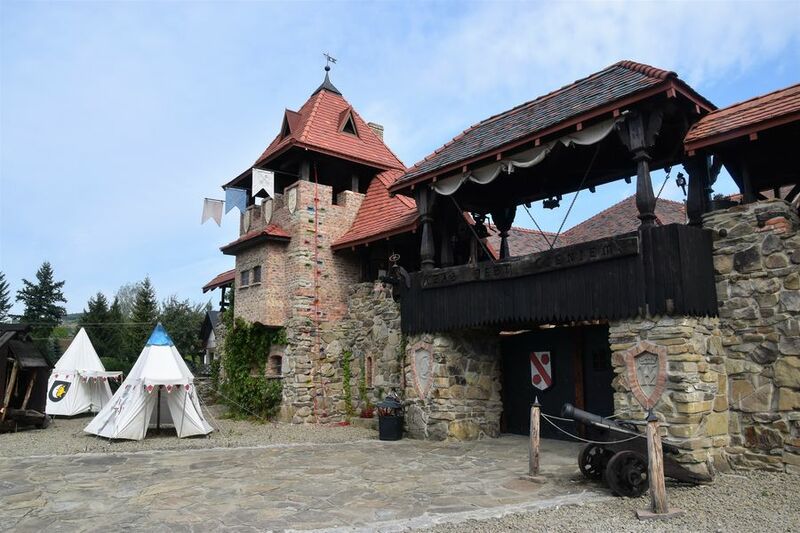 The castle has a good collection of costumes, weapons, other historical artifacts, hand-made items, metal and wooden products etc. From the outside, looking at the castle facade you would think that it’s centuries old, just renovated. However, the owners told us that they built the whole castle from scratch based on some old documents. It took them 18 years to build it! Wow! It makes you feel like you have stepped in time. We had a really good lunch there. But they don’t have their own kitchen open yet so you need to book it in advance. However, I was told they are planning on building a kitchen directly in the castle. Zamek Stara Basn is a must see! I think that visiting Stara Basn was the highlight of my trip. 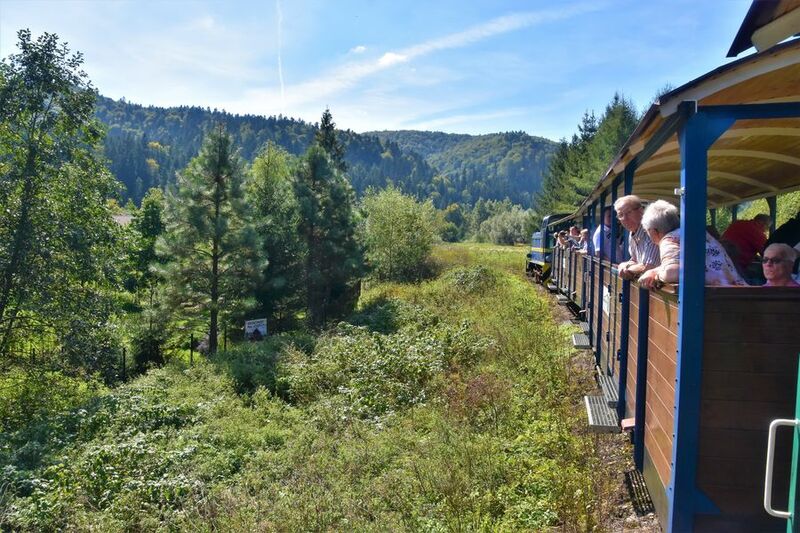 One of the cool things to do around Eastern border of Poland and Slovakia is to hop on the tourist train Bieszczadzka Kolejka Lesna. We took it from Przyslup village and passed through villages of Krzywe, Dolzica, Cisna to Majdan. In the past the train would transport wood between villages and then it was not working for a few years. 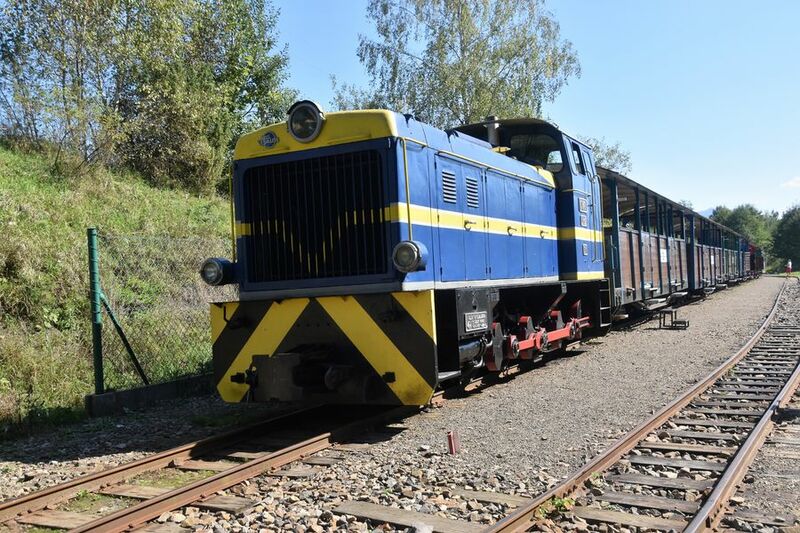 Since 1996 it’s been operating as a tourist train mostly in summer months. It was really lovely to observe the Polish nature and small villages from the train. We even saw some animals, a river and many nice houses and chalets. You can buy tickets for Bieszczadzka Kolejka Lesna online if you understand Polish. When driving from Cisna to Uherce Mineralne, we made a quick stop in Polanczyk village to see the Solina lake from above (Solinskie jezioro in Polish). It’s 660 meters long and covers the area of 22 square km. When they were building the dam in 1968 on the San river, some people had to move houses as their original ones were covered with water. 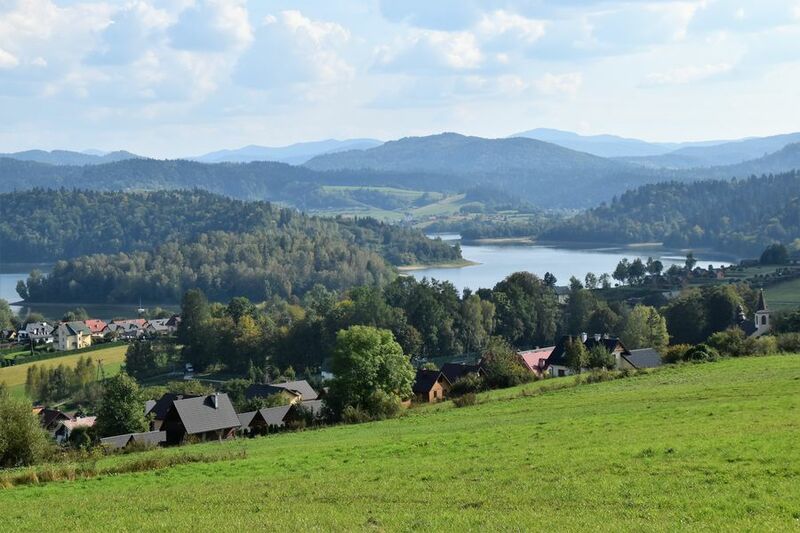 Solina, Polanczyk and Cisna are the busiest villages in the Bieszczady mountains. Villages around Cisna were destroyed at war so they had to build new houses. 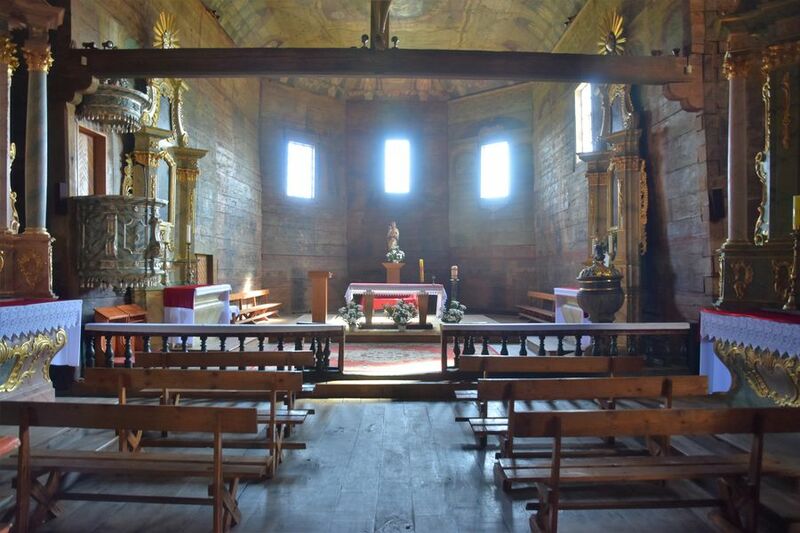 Very few original wooden churches and buildings remained. Many tourists who are looking for nature and peaceful place go on holidays to the Solina lake. In almost every village around you can find guesthouses or rooms to rent. Many bikers and motorcycle riders bring tents and go camping around the lake. In bigger villages, such as in Solina and Polanka, you can even stay at bigger hotels and resorts. The Bieszczady mountains are one of the wildest parts of Poland. Tourists enjoy hiking along the natural trails. Few gas stations and shops in the area makes it easier to relax in nature. This is definitely the funniest experience we had around the border of Poland and Slovakia. We drove to the Uherce Mineralne village train station where we could hop on what they call drezyny rowerove in Polish. 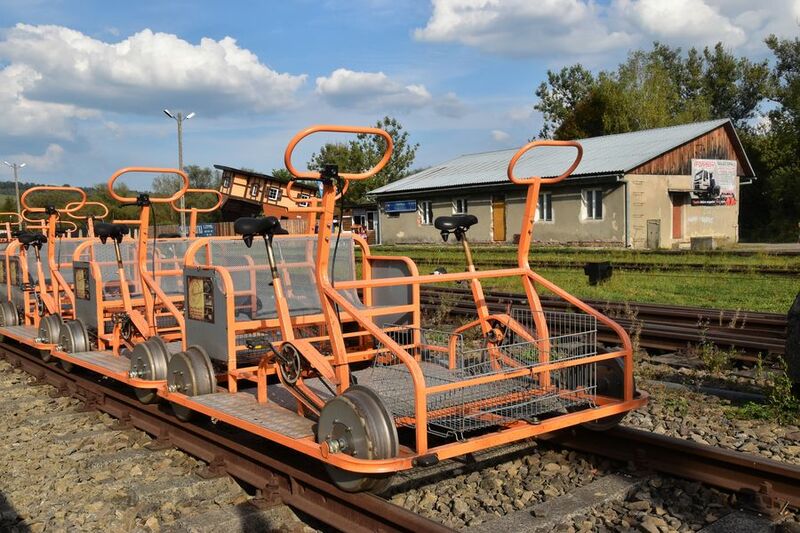 I’m talking of pedaled rail-cycle draisine, a sort of a bicycle which runs along the same rails as trains do. I’ve never seen such a thing anywhere else in the world and had so much fun while pedaling. It took them 4 years to open the project because of all the procedures. There’s 4,000 trails like these in Western Europe. In this area they have 47 km of railways that can be used for drezyny. We only pedaled 5 km from the train station to a tunnel which was built in 1872. There’s 10 bikes to rent. It’s funny to see that the ticket is a fridge magnet and similarly to a train ticket, a staff member makes a hole through it to validate it. Normally the shortest ride is 90 to 120 minutes but we only tried it for 30 minutes to get a glimpse of the experience. You know, time is precious when you travel in a group with other bloggers and journalists. 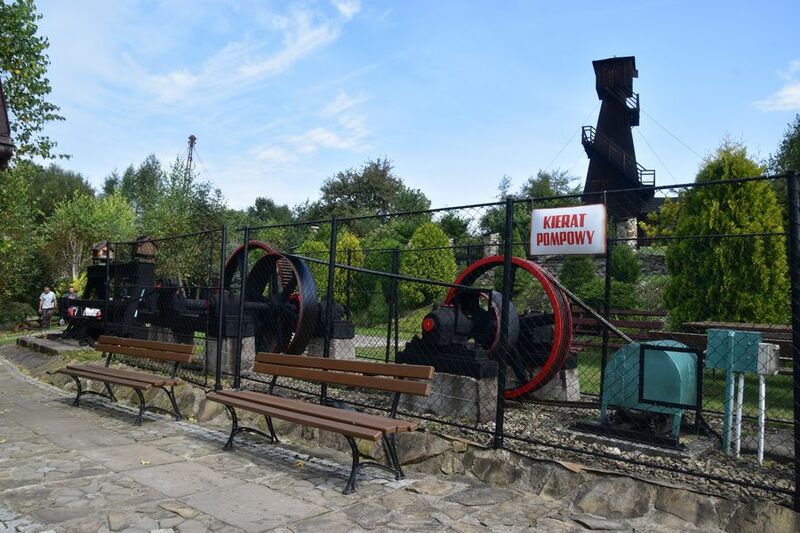 If you are ever in Uherce Mineralne, going on a drezyny rowerove trip is a must! 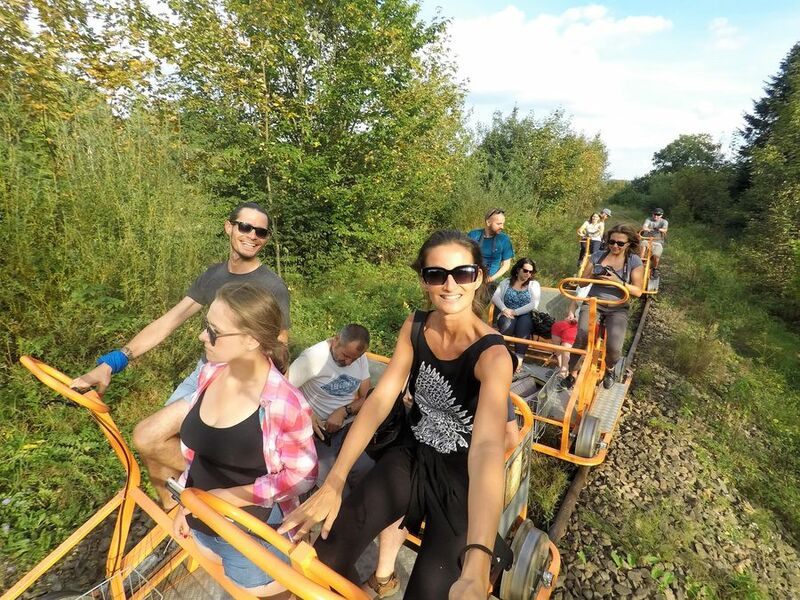 Besides draisine, there’s another cool thing to do in Uherce Mineralne. Go to the Art school. Already the side wall will be worth seeing. The whole wall is covered with a colorful mural. 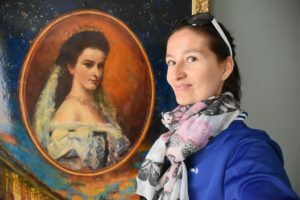 Each person of the mural has a face of someone who took part in its preparation, e. g. the owner’s wife Magda and 3 kids, and even workers who renovated the building. The Art school building dates back to early 1900’s and it was a school and a kindergarten and now it serves for educating people again. Every 2 hours there is a lesson there for people to learn some kind of art. They make magnets, pottery, wooden hearts etc. You will learn how to make things, bake bread, make fire, how to write in a nice way etc. It’s not a place where you will only watch how others are doing things but you have to learn how to do them yourself. 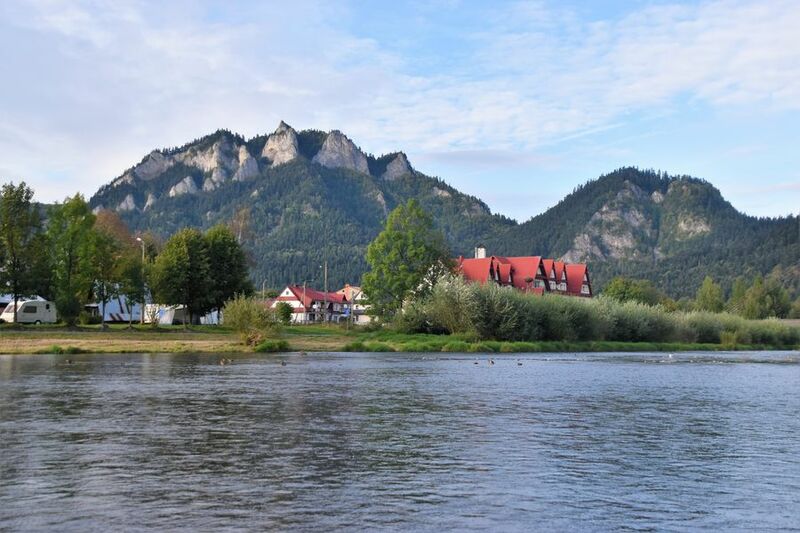 In Slovakia rafting along the Dunajec river is quite a famous activity. When I was a kid, we used to go there every year with my parents. I have so many great memories from rafting you have no idea. Then I revisited the area on a motorbike trip with my dad, and now again a few years later to go rafting on wooden rafts once again. 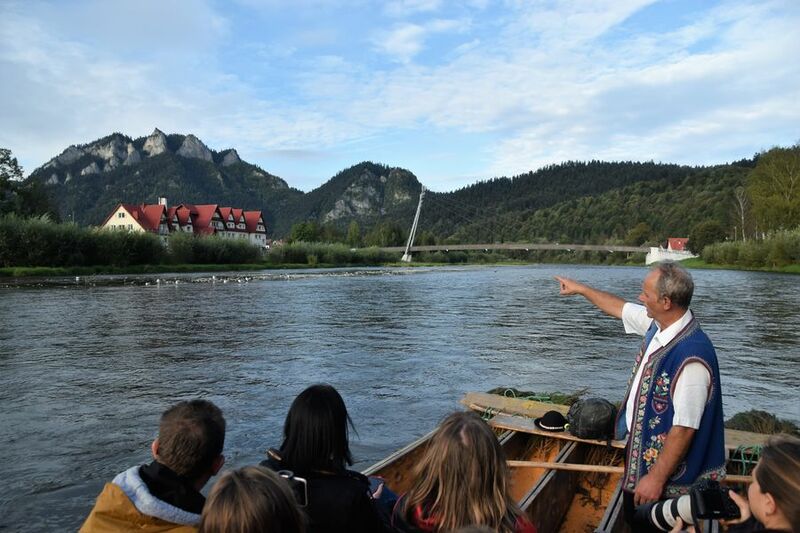 The Dunajec river creates a 9 km long canyon called Dunajec Gorge between villages Cerveny Klastor and Lesnica. The river runs through the Pieniny National Park, one of the 9 national parks in Slovakia. Rafting is very easy, you just sit down on a wooden raft and there’s guides doing all the work for you. You won’t do any exercise, you won’t sweat at all, so if you are going rafting when it’s cold, remember to bring warm clothes because on the raft it will feel even colder. Rafting finishes in Lesnica village which is still located in Slovakia. It’s a cute little village full of guesthouses and wooden statues. A very nice place for a walk. And where to stay there? 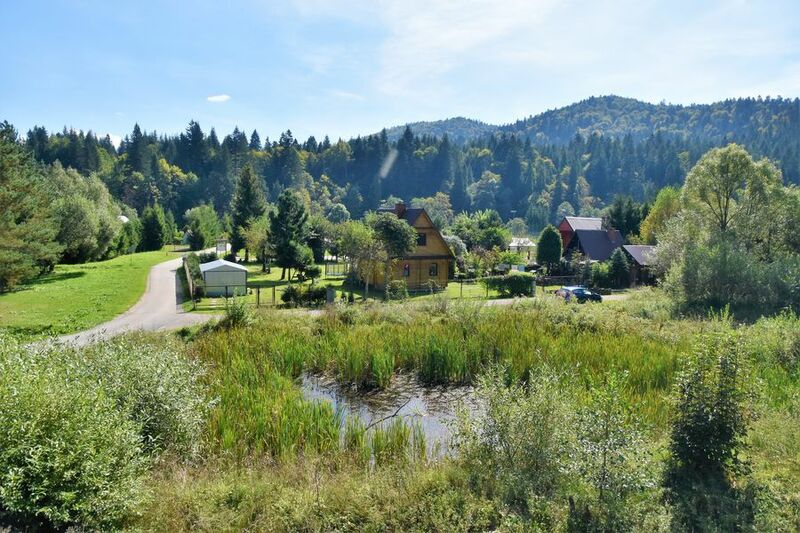 We stayed overnight at Chata Pieniny in Lesnica village. The 3* guesthouse has a small spa and a really traditional restaurant downstairs. Guys from our group had a Goral ceremony there and then we listened to live music while having dinner. Moving 80 km South from Pieniny national park, one will get to the most-known castle in Slovakia. Spissky hrad, as we call the Spis castle in Slovak, was built in the end of the 12th century but the first written mention dates back to the beginning of the 13th century. The oldest part still standing is the Romanesque palace located in the end of the castle. The current tower is 19 m high and you can walk up to the roof to get stunning views of the surrounding villages, fields and hills. Over the centuries, the castle has had different owners and all of them wanted to adapt it to suit to their own needs, so they kept rebuilding the castle and adding more rooms. 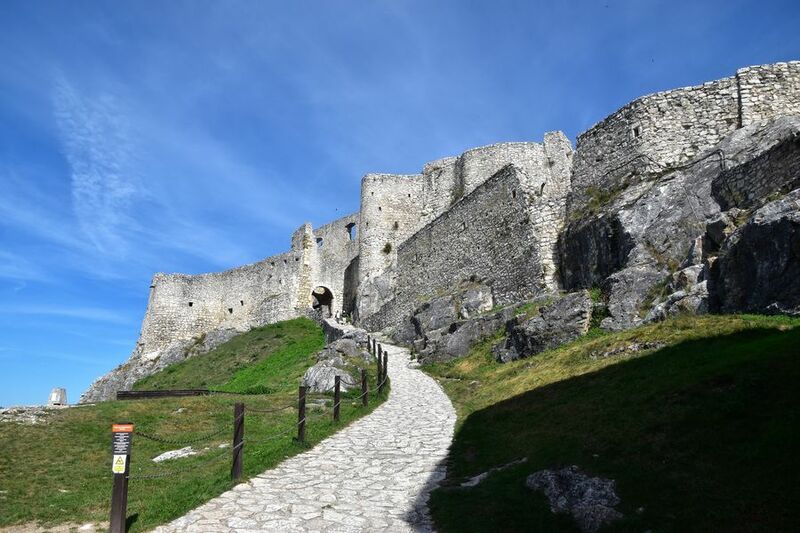 Since 1993 the Spis castle together with the surrounding villages of Spisske Podhradie, Spisska Kapitula and Zehra were listed as UNESCO Heritage Sites. In the heart of Spisska Kapitula we can find penzion St. Martin. It’s a picturesque guesthouse with a good restaurant where we had lunch. 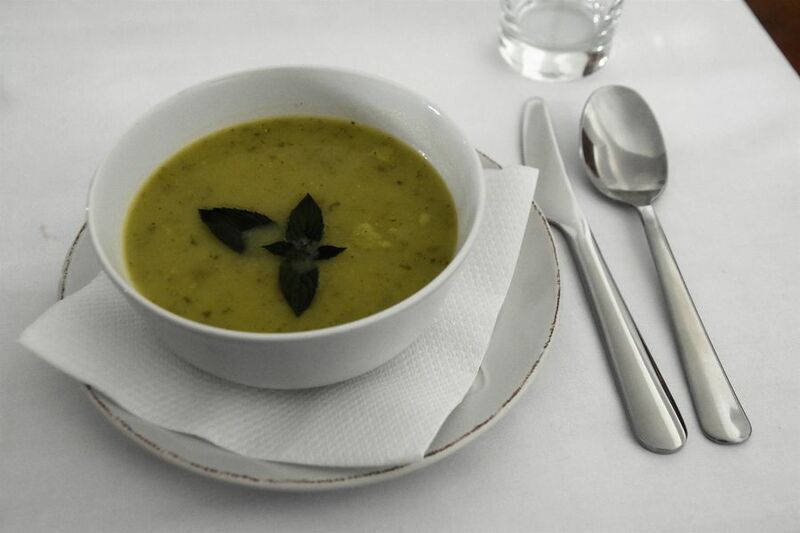 Their couscous and veggie soup were finger-licking. 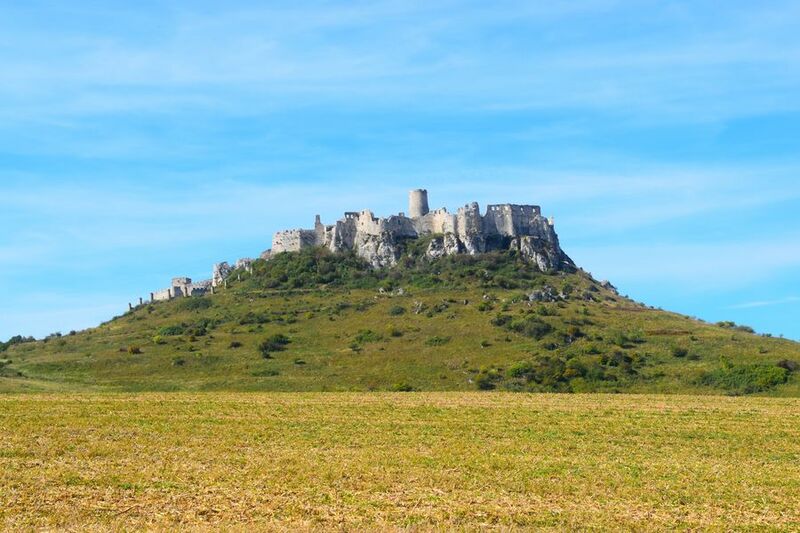 TIP: If you’d like to know more, I wrote a detailed article about 30 things to know about Spis castle. 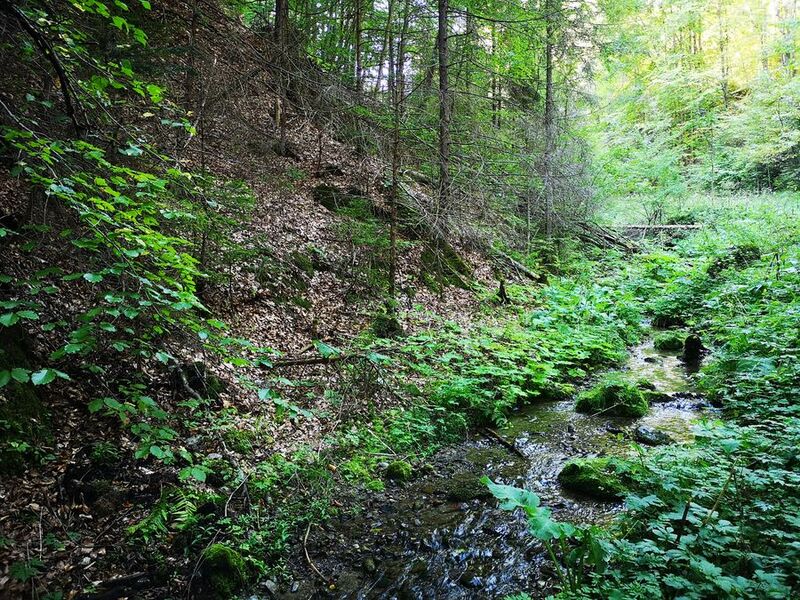 2 km long Lacnov canyon is located in the Branisko mountain in the National Nature Reserve called Kamenna Baba. Just to get an idea, the whole Branisko mountain is 27 km long and 9 km wide. Lacnovsky kanon as its original Slovak name says, is sometimes also designated as Small Slovak Paradise maybe also because of ladders for hikers. The canyon was created along the Stone spring (Kamenny potok in Slovak). According to our guide Jozef Simcik, the best time to visit is in autumn when there’s more water from the rain and colorful trees and leaves all around you which gives it a more magical feeling. There was very little, almost no water when we visited because more of the water is underground if it’s not raining or snow is not melting. It is possible to take a train or bus to Presov and from there a bus to Lipovce village and then walk to the canyon. Close to the canyon there’s also a castle and cave Zla Diera, both open for public. 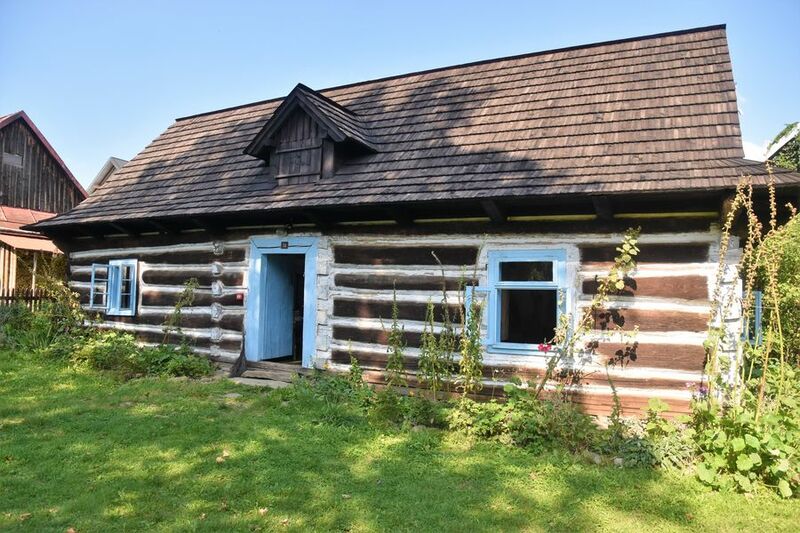 And last bot not least on this list is Vihorlat Astronomical Observatory which is located in Humenne but also one part of it was open in 1986 just outside of Kolonica village in Kolonica Saddle. For me it was something extraordinary to learn more about stars, planets and Milky Way. As we were a group of mixed nationalities, our guide gave us the explanation in English. It felt quite odd for me to listen to English just a few kilometres from my home town Snina where we all speak my mother tongue Slovak. We spent approximately 2 hours at the Vihorlat Observatory on Kolonica Saddle. Conditions for star observation were almost perfect as we visited just 2 nights after New Moon so there was almost no light from the Moon. And the skies were crystal clear, no clouds at all. Plus, Kolonica is located in Poloniny National Park which has the lowest light pollution in Slovakia. The skies are the darkest there which makes it ideal for star gazing. I learned so many things in such a short time there. Did you now that some star constellations are only visible in certain season? We differentiate summer (e.g. summer triangle), spring, autumn and winter constellations. I also found out that M31 (Messier 31 or Andromeda galaxy) is the nearest major galaxy we can see from the Earth with our own eye. It is said that in 4 billion light years M31 galaxy will crush with our galaxy. What we call a falling star is actually the light we see behind a meteorite but not the meteorite itself. Here’s more about Vihorlat Observatory on Kolonica Saddle. Unfortunately, their website is now only in Slovak but I hope they will translate it into English soon as well. 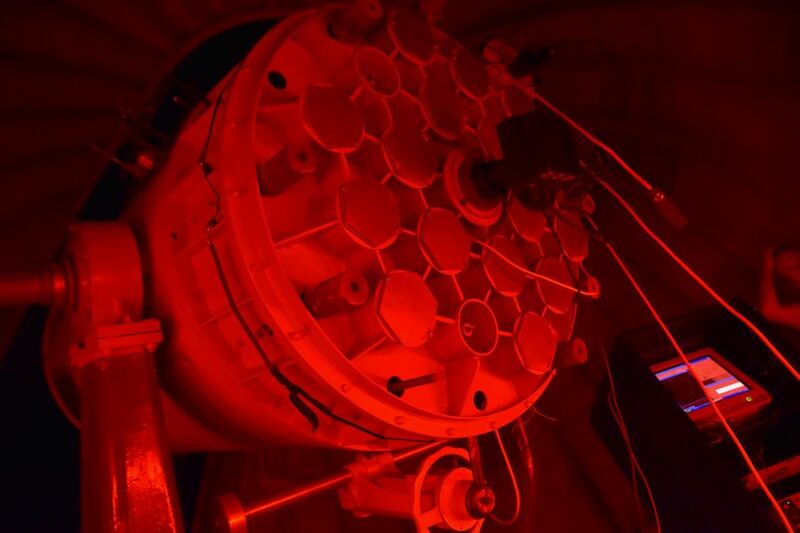 As I am not good at taking night photos, here’s at least one photo of their telescope. And if you would like to stay overnight somewhere not so far from the Observatory, you can pick Hotel Kamei in Snina, in my home town. The hotel is located on the hill next to the entrance to Bio swimming pools. It’s just 12 km from the Kolonica Observatory. 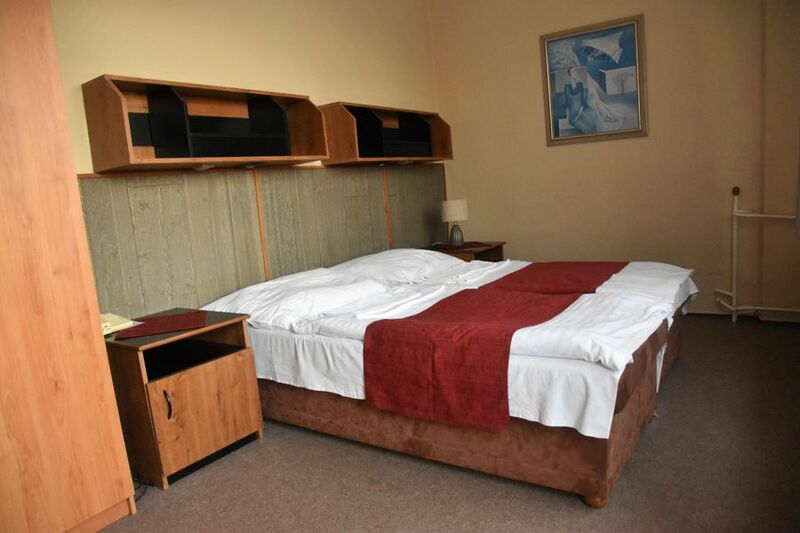 The hotel rooms are fine, they cook good meals (we overeate like crazy) and there’s even an indoor swimming pool and a small Finnish sauna for you to use. TIP: I hope you know that Slovakia is my home country. It’s still rather non-touristy but I believe it has a great potential to offer a bit for everyone. 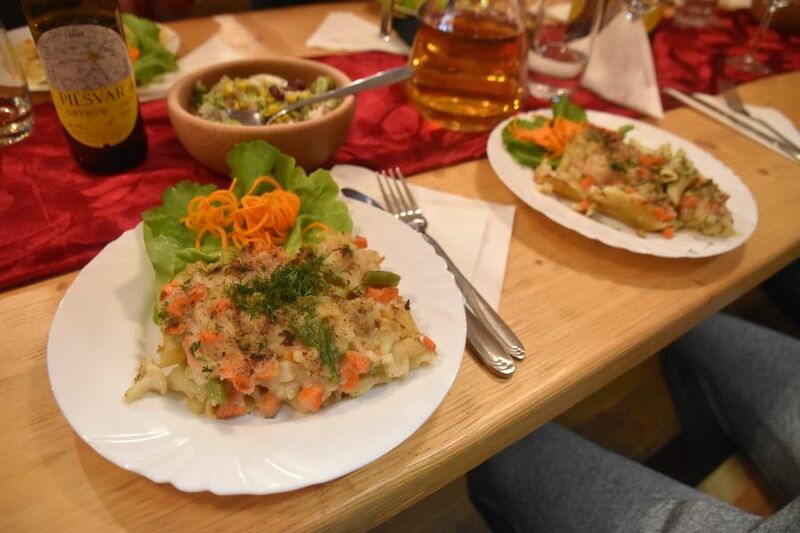 Here’s my 10 reasons why you should visit Slovakia. There’s a lot of Orthodox churches in this area. Many of them are listed as UNESCO Heritage Sites thanks to their unique architecture and are worth a visit. The border area is full of history, also because of Dukla battles. Many people visit the area to learn more about World War battles that happened there. 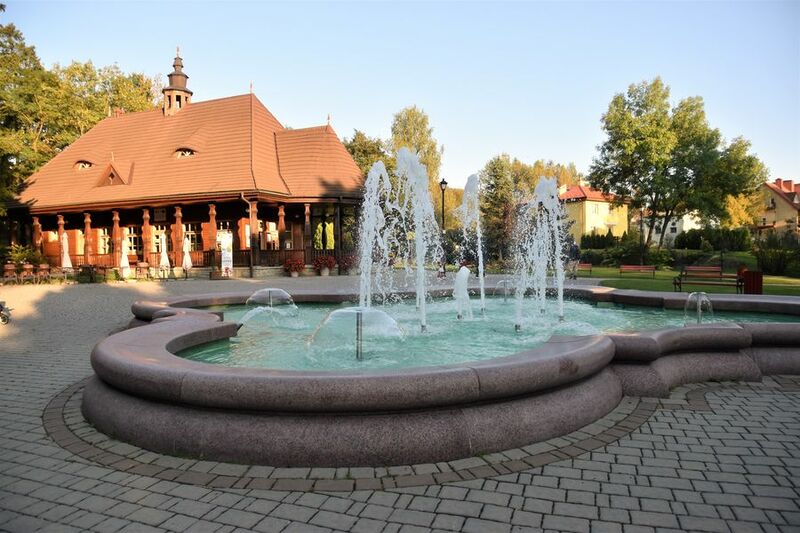 Krosno town is another place to visit. 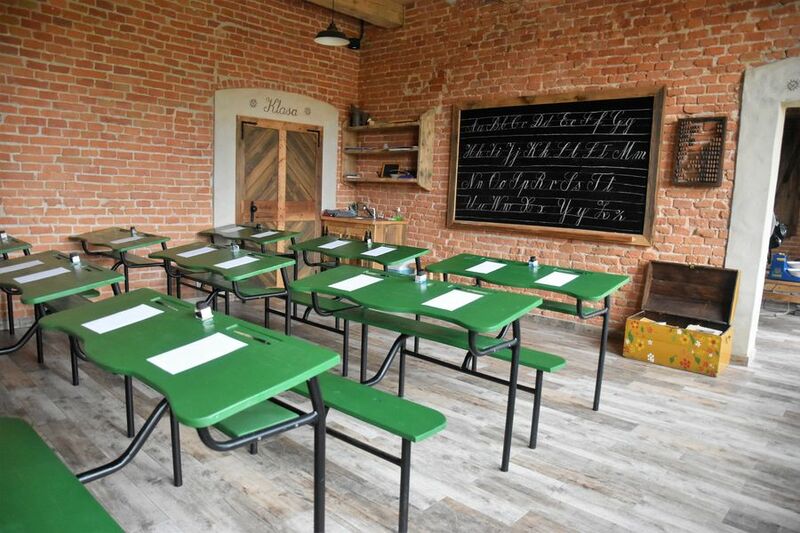 It is well known because of the Glass Heritage Centre where you can participate in glass workshops and learn to blow your own glass. 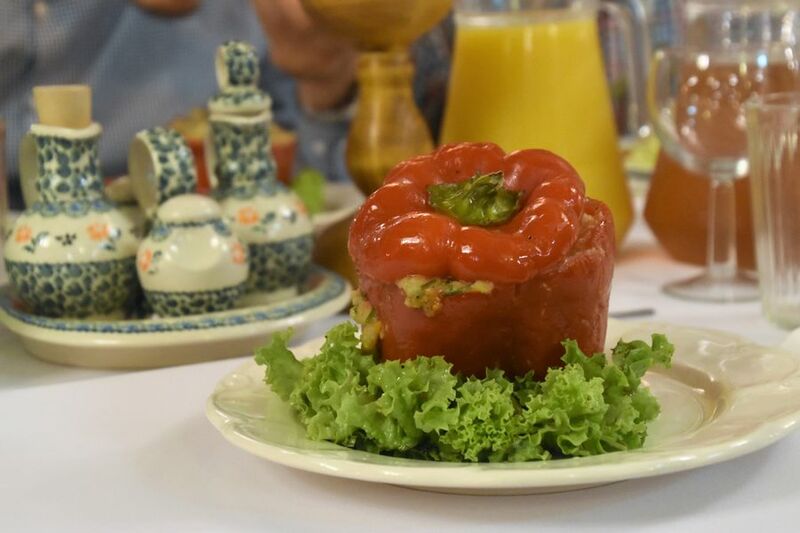 Other interesting activities to do are hot air balloon, marathons and ultra marathons and other runs through the Eastern Carpathian mountians. And of course hiking if you are into unspoiled nature. For more information about this area and the Carpathians, check Carpathia website. 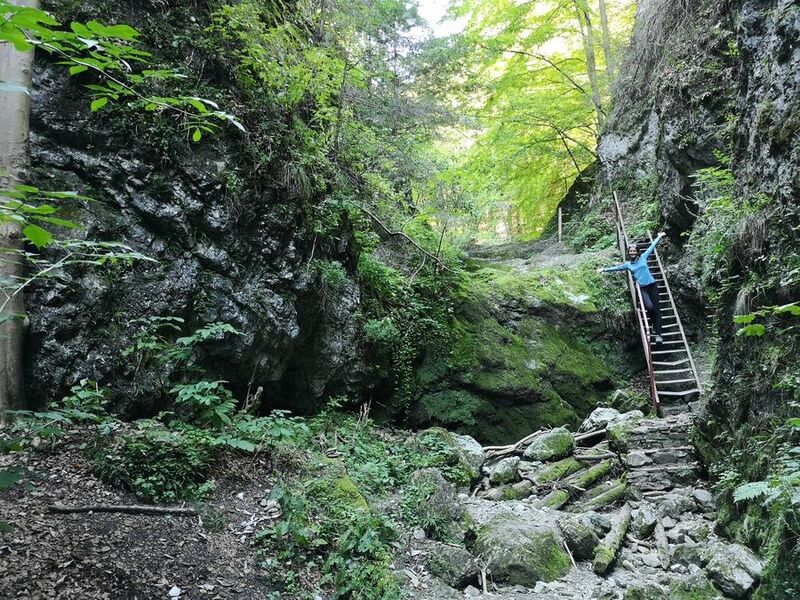 And if you like hiking, then find out more about hiking without backpack in the Carpathians. Tá drezina a vlak by mohli byť aj baby friendly záležitosť, či?..lebo juniorovi by sa to veľmi páčilo ? Thanks a lot, David! I really hope you will visit my hoe country and also Poland one day 🙂 You would not regret it. 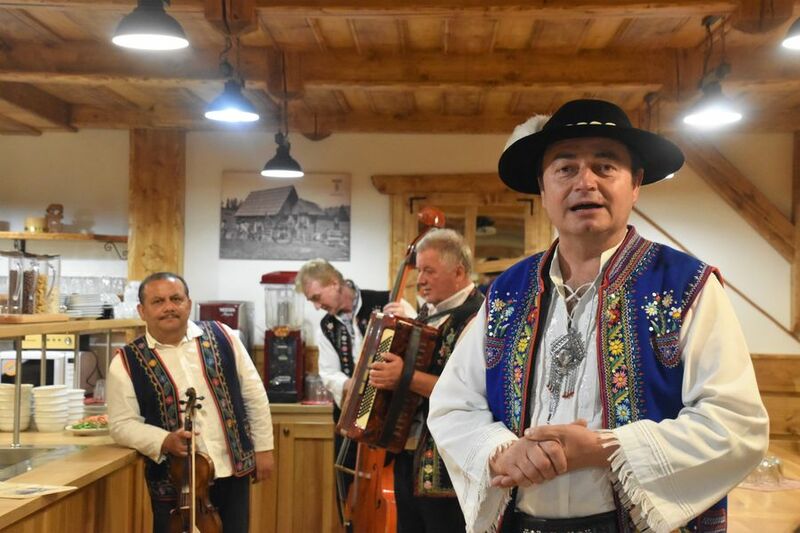 Poľsko je veľmi zaujímavá krajina, minulý rok som bol na poľskej strane Tatier a bolo to tam nádherne. Tento víkend idem do Krakowa, tak som zvedavý, čo ma tam čaká, už si tam bola? Inak pekné fotky, fotíš mobilom alebo nosíš so sebou foťák? Mam Gopro 5, ale ta nerobi moc dobre fotky, tak ju skor pouzivam na videa alebo ked prsi, pod vodou a pri sportoch, ked nechcem mat so sebou velku zrkadlovku. Ale 6 a 7 vraj fotia uz lepsie.